When looking at safari options, it is helpful to know which accommodation to stay on safari or you would be comfortable with, but to also be open to new experiences. Majority Travelers are often put off by the idea of a ‘tent’ because they worry about things such as insects or snakes and whether staying in a tent will keep them safe from wild animals etc. These are legitimate concerns and certainly something you need to discuss with your travel planner experts. 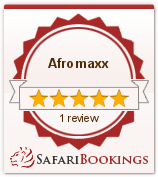 Travelling with Afromaxx.com there is a wide variety of accommodation options available. With so many hotels in East Africa we can help you book the perfect accommodation, whether it’s a deal on a budget hotel or High-end Hotel in Tanzania, Kenya, Uganda or Zanzibar for a long stay or multiple hotels for a trip across those countries we have a range of accommodation to suit individual needs from the top 5 star hotels accommodation with pools, Gym, Self-Drive to hotels with breakfast, free shuttle services etc..
Afromaxx.com encourage you to live a well-travelled life in style and experience in remarkable delights in some of the most extraordinary locations in East Africa. Hotels rooms categorized from Standard room, Deluxe Rooms, Superior Rooms, Presidential and Exclusive Villas. For travelers who want to Experience urban living at its most cosmopolitan. All hotels have Parking, Wi-Fi, Restaurants, Laundry Services, Room services, Exceptional Security and perfect service as well as world-class amenities, some hotels offers special need services. For discerning business and leisure travelers with a taste for the very finest the distinctive 3-5-star hotels and resorts are places to call home. A Safari Lodge is a comfortable way to experience safaris in Tanzania. The cozy concreate buildings with bush flower gardens. Most Safari Lodges are located inside national parks while other are located outside the parks. Offering extra hotel services including, baby seater, credit cards facilities. In East Africa (Kenya, Tanzania and Uganda Lodge accommodation is on Full Board Basis). 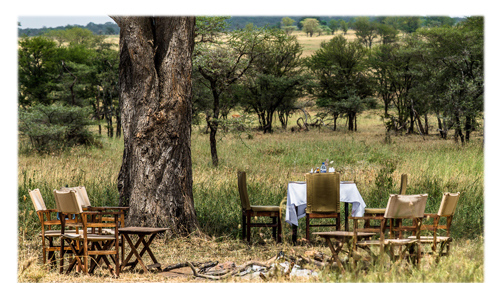 All meals are provided by the Safari Lodges, including some picnic lunches. On all of our safaris itineraries we make use of mid-range Lodges, Luxury Lodges and High-end African standard lodge accommodation situated in best spots; either in the national parks, Game reserves, on the highlands, on the banks of a river or other place of interest. All accommodation is en-suite and some properties are equipped with swimming pools and a bar. There is no specific official star rating however as a guideline range of lodges are generally of a 3-5 star standard. Afromaxx emphasis is always on comfort, cleanliness and well-managed lodgings, whilst ensuring that our clients make the most of the surroundings. Each properties offers its own distinguishing style, reflecting its locations cultural heritage and artistic idioms, where the enjoyment is in the detail that delivers world class hospitality and exceptional services. Luxury Mobile Tented Camps Luxury Mobile Tented Camps are set in the best spots in the national parks exclusive sites to get you closer to the game viewing action and relocate based on the movement of the migration. However private luxury mobile camps are available year round in all major National Parks around Tanzania and Kenya. On special occasions the camp can be used exclusively by families and friends or small groups travelling together and it is an intimate experience as you truly are surrounded by the bush under the African blue skies. No worries about wildlife because the camp environments is full time guarded by camp watchmen and often visited by armed park rangers. On same line on this mobile camping Safaris; as an alternative to the fully private experience, Afromaxx.com also offers another option of accommodation on Safari. Budget camping is the ideal way for those who like to “rough it”. Accommodation is provided in a public campsite in a dome tent. Afromaxx offers choices of tents for one or two-man and a shared tent up to four people with mattresses, blankets, sleeping bags and bed sheets. The tents are mid-spacious enough and have a mesh on each window to keep off insects. Going on Budget Camping with the clients’ safari vehicle, always a 4-wheel drive carrying camping equipment and provisions crewed by a driver-guide experienced in wildlife and camping and accompanied by your personal cook. Preparations for setting up the camp are made on arrival at the campsite. The driver-guide and cook will pitch tents, cook and do cleaning. The cook prepares three meals a day – breakfast, lunch, and dinner (3-course) served on a dining table with chairs built at the campsite. The public campsites provide basic washroom facilities including shared toilets and shower of reasonable hygienic standard for the guests. Our Tanzania Classic Safari , Hadzabe and Datoga Safaris , Northern Circuit Best Value , Crater and Rift Valley Safaris Gorilla and Chimpanzees Tracking and Kilimanjaro Machame Route are Kilimanjaro Lemosho Route all open-dated, meaning that they can depart any day of the year, subject to availability. Alternatively there are Set Departure Dates, it is likely that any other people will join you’re travelling party. There are also Active Tours available on these safaris, transfers are provided between each destination, with the services of local guides for included activities. Now do you know which accommodation to stay on safari?